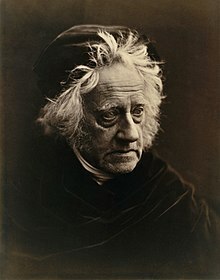 Sir John Frederick William Herschel, 1st Baronet KH FRS (/ˈhɜːrʃəl, ˈhɛər-/; 7 March 1792 – 11 May 1871) was an English polymath, mathematician, astronomer, chemist, inventor, experimental photographer who invented the blueprint, and did botanical work. The voyage to South Africa was made in order to catalogue the stars, nebulae, and other objects of the southern skies. This was to be a completion as well as extension of the survey of the northern heavens undertaken initially by his father William Herschel. He arrived in Cape Town on 15 January 1834 and set up a private 21 ft (6.4 m) telescope at Feldhausen at Claremont, a suburb of Cape Town. Amongst his other observations during this time was that of the return of Comet Halley. 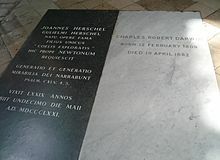 Herschel collaborated with Thomas Maclear, the Astronomer Royal at the Cape of Good Hope and the members of the two families became close friends. During this time, he also witnessed the Great Eruption of Eta Carinae (December, 1837). Words are to the Anthropologist what rolled pebbles are to the Geologist – battered relics of past ages often containing within them indelible records capable of intelligent interpretation – and when we see what amount of change 2000 years has been able to produce in the languages of Greece & Italy or 1000 in those of Germany France & Spain we naturally begin to ask how long a period must have lapsed since the Chinese, the Hebrew, the Delaware & the Malesass [Malagasy] had a point in common with the German & Italian & each other – Time! Time! Time! – we must not impugn the Scripture Chronology, but we must interpret it in accordance with whatever shall appear on fair enquiry to be the truth for there cannot be two truths. And really there is scope enough: for the lives of the Patriarchs may as reasonably be extended to 5000 or 50000 years apiece as the days of Creation to as many thousand millions of years. The document was circulated, and Charles Babbage incorporated extracts in his ninth and unofficial Bridgewater Treatise, which postulated laws set up by a divine programmer. When HMS Beagle called at Cape Town, Captain Robert FitzRoy and the young naturalist Charles Darwin visited Herschel on 3 June 1836. Later on, Darwin would be influenced by Herschel's writings in developing his theory advanced in The Origin of Species. In the opening lines of that work, Darwin writes that his intent is "to throw some light on the origin of species – that mystery of mysteries, as it has been called by one of our greatest philosophers," referring to Herschel. However, Herschel ultimately rejected the theory of natural selection. 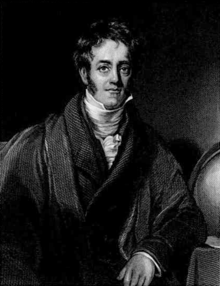 Herschel returned to England in 1838, was created a baronet, of Slough in the County of Buckingham, and published Results of Astronomical Observations made at the Cape of Good Hope in 1847. In this publication he proposed the names still used today for the seven then-known satellites of Saturn: Mimas, Enceladus, Tethys, Dione, Rhea, Titan, and Iapetus. 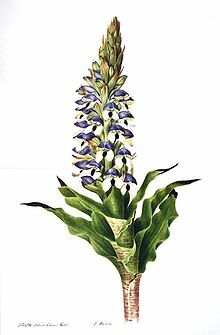 In the same year, Herschel received his second Copley Medal from the Royal Society for this work. A few years later, in 1852, he proposed the names still used today for the four then-known satellites of Uranus: Ariel, Umbriel, Titania, and Oberon. Herschel made numerous important contributions to photography. He made improvements in photographic processes, particularly in inventing the cyanotype process, which became known as blueprints. and variations, such as the chrysotype. In 1839, he made a photograph on glass, which still exists, and experimented with some color reproduction, noting that rays of different parts of the spectrum tended to impart their own color to a photographic paper. Herschel made experiments using photosensitive emulsions of vegetable juices, called phytotypes, also known as anthotypes, and published his discoveries in the Philosophical Transactions of the Royal Society of London in 1842. 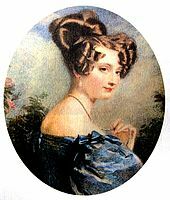 He collaborated in the early 1840s with Henry Collen, portrait painter to Queen Victoria. Herschel originally discovered the platinum process on the basis of the light sensitivity of platinum salts, later developed by William Willis. Herschel coined the term photography in 1839. Herschel was also the first to apply the terms negative and positive to photography. Herschel discovered sodium thiosulfate to be a solvent of silver halides in 1819, and informed Talbot and Daguerre of his discovery that this "hyposulphite of soda" ("hypo") could be used as a photographic fixer, to "fix" pictures and make them permanent, after experimentally applying it thus in early 1839. In 1823, Herschel published his findings on the optical spectra of metal salts. Herschel invented the actinometer in 1825 to measure the direct heating power of the sun's rays, and his work with the instrument is of great importance in the early history of photochemistry. Herschel proposed a correction to the Gregorian calendar, making years that are multiples of 4000 not leap years, thus reducing the average length of the calendar year from 365.2425 days to 365.24225. Although this is closer to the mean tropical year of 365.24219 days, his proposal has never been adopted because the Gregorian calendar is based on the mean time between vernal equinoxes (currently 365.242374 days). 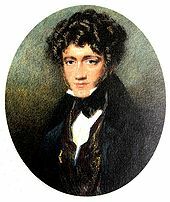 Herschel was elected a Foreign Honorary Member of the American Academy of Arts and Sciences in 1832, and in 1836, a foreign member of the Royal Swedish Academy of Sciences. While it is commonly accepted that Herschel Island, in the Arctic Ocean, part of the Yukon Territory, was named after him, the entries in the expedition journal of Sir John Franklin state that the latter wished to honour the Herschel family, of which John Herschel's father, Sir William Herschel, and his aunt, Caroline Herschel, are as notable as John. Herschel died on 11 May 1871 at age 79 at Collingwood, his home near Hawkhurst in Kent. On his death, he was given a national funeral and buried in Westminster Abbey. His obituary by Henry W Field of London was read to the American Philosophical Society on 1 December 1871. "On the Chemical Action of the Rays of the Solar Spectrum on Preparations of Silver and Other Substances, Both Metallic and Non-Metallic, and on Some Photographic Processes", Philosophical Transactions of the Royal Society of London, 130: 1–59, 20 February 1840, Bibcode:1840RSPT..130....1H, doi:10.1098/rstl.1840.0002, ISSN 0261-0523, JSTOR 108209. ^ a b c d e f g h i j k "Herschel, Sir John Frederick William, 1792–1871, astronomer". NAHSTE project. University of Edinburgh. Archived from the original on 10 May 2007. ^ a b Go, F. E. (1970). "Blueprint". Encyclopædia Britannica. 3 (Expo'70 ed.). Chicago: William Benton. p. 816. ^ a b Bridgwater, William; Sherwood, Elizabeth J., eds. (1950). "blueprint". The Columbia Encyclopedia in One Volume (2nd ed.). New York City: Columbia University Press. p. 214. ^ a b Rosenthal, Richard T. (2000). "The Cyanotype". Vernacular Photography. Archived from the original on 30 March 2013. Retrieved 19 June 2018. ^ Cobb 2012, pp. 409–439. ^ "Herschel, John Frederick William (HRSL808JF)". A Cambridge Alumni Database. University of Cambridge. Chisholm, Hugh, ed. (1911). "Herschel, Sir John Frederick William" . Encyclopædia Britannica (11th ed.). Cambridge University Press. ^ Elliott, David. "Past RAS Presidents". Royal Astronomical Society. Retrieved 20 November 2017. ^ Dreyer & Turner 2014, p. 250. ^ Browne 1995, pp. 128, 133. ^ Darwin 1985a, Letter No. 94. ^ Berkowitz, Lee. "Contact Lens Timeline". antiquespectacles.com. Retrieved 19 November 2017. ^ a b van Wyhe 2007, p. 197. ^ Desmond & Moore 1991, pp. 214–215. ^ Darwin 1985b, Letter No. 346. ^ John Herschel, Physical Geography (1861), p. 12. ^ Evans 1970, p. 84. ^ Herschel, John (1901). "General View of Niagara Falls from Bridge". World Digital Library. Detroit Publishing Company. Retrieved 20 November 2017 – via Library of Congress. ^ Herschel 1842, pp. 182–214. ^ "William Willis". Royal Dutch Academy of Science (Knaw.nl). Archived from the original on 25 December 2004. ^ Schaaf 1979, pp. 47–60. ^ Herschel, J.F.W. (1823). "On the absorption of light by coloured media, and on the colours of the prismatic spectrum exhibited by certain flames; with an account of a ready mode of determining the absolute dispersive power of any medium, by direct experiment". Transactions of the Royal Society of Edinburgh. 9: 445–460. ^ Anon 1884, p. 527. ^ Herschel 1876, p. 712. ^ Steel 2000, p. 185. ^ "Book of Members, 1780–2010: Chapter H" (PDF). American Academy of Arts and Sciences. Retrieved 15 September 2016. ^ Burn 2009, pp. 317–323. ^ Field 1871, pp. 217–223. Darwin, Charles (1958). Barlow, Nora (ed.). The Autobiography of Charles Darwin 1809–1882. With the original omissions restored. Edited and with appendix and notes by his granddaughter Nora Barlow. London: Collins. Retrieved 11 December 2008. Darwin, Charles (1985a). Burkhardt, Frederick; Smith, Sydney (eds.). The Correspondence of Charles Darwin: 1821–1836. Correspondence of Charles Darwin. Vol 1. Cambridge University Press. ISBN 0-521-25587-2. Darwin, Charles (1985b). Burkhardt, Frederick; Smith, Sydney (eds.). The Correspondence of Charles Darwin: 1837–1843. Correspondence of Charles Darwin. Vol 2. Cambridge University Press. ISBN 0-521-25588-0. 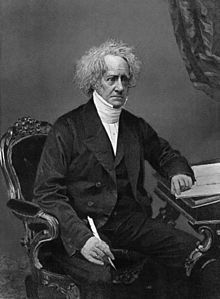 Wikimedia Commons has media related to John Herschel. "SIR JOHN HERSCHEL (Obituary Notice, Saturday, May 13, 1871)". Eminent Persons: Biographies Reprinted from The Times. I (1870–1875). London: Macmillan & Co. 1892. pp. 33–36. Retrieved 28 February 2019 – via HathiTrust.